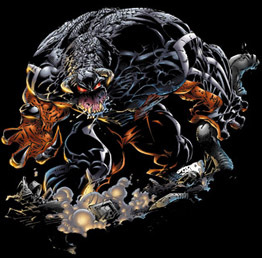 Real Name: Tremor. First Appearance: Spawn # 25. What's the Story? : Richard and David Massullo. Two brothers, so much alike, so far apart. Since childhood, Richard tagged along with his older brother David. If David did it, Richard wanted to do it. Richard, bigger and stronger than anyone he knew, would do anything for David. Growing up in the Bronx, the brothers witnessed the under side of local organized crime. After enlisting in a protection scam with local merchants, the two youths quickly snared the attention of then up-and-coming mob boss Antonio Twistelli.